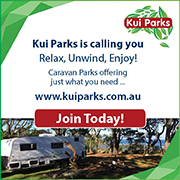 The project has already received the backing of the country's peak caravanning body, the Caravan Industry Association of Australia. Chief executive Stuart Lamont said it looked "very interesting as an adjunct to our Co-Exist campaign". "There is some background work to do regarding the logistics, criteria, management etc but anything which assists in road safety and caravanners and truck drivers respecting one another on the road is a good thing," he said. 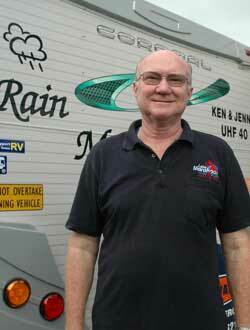 Caravanning Queensland's chief executive Ron Chapman also supports the initiative. Mr Wilson and wife Jenny from Bundaberg in Queensland have been avid caravanners for a decade and are often amazed at what happens on the road. "Listening to comments and having conversations with truck drivers on the UHF often highlights their frustration. 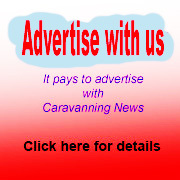 "As my home state of Queensland will shortly be subject to the annual grey nomad 'invasion' of southern state caravanners escaping the cooler southern states, the situation will get drastically worse over coming months," he said. Mr Wilson put on his thinking cap and after three years has finally come up with his Truck Friendly program, which is backed up with a special website and easily recognisable green 300mm stickers for the rear of caravans and other RVs. He also plans to have a Support the Truck Friendly Program sticker for the rear of trucks to help spread the word, create discussion and driver awareness of the needs of truck drivers. "This will also assist in expanding the program at a later date to encompass further aspects of heavy transport road safety," Mr Wilson explained. 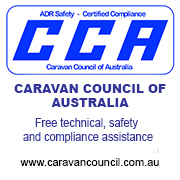 He has consulted various trucking Industry groups and individuals, caravanning and motorhome clubs and associations to gain knowledge to share through the program, which has the support of caravan and RV clubs. All road users had the right to travel at what they considered to be a safe speed, Mr Wilson said. "I am sure most people will agree that to unnecessarily hold up other roads users when options are available is just very inconsiderate. "When using rest areas it should also be remembered that the truck drivers must, by law, rest at regular intervals for the safety of the driver and other road users and plan their trips accordingly." Mr Wilson pointed out that governments had provided truck stops at regular intervals for this purpose. "Having their rest area filled with tourists who have parked all over the place with no regard for other road users is very inconsiderate," he said. "It is agreed there are not enough rest areas along our highways for all road users, and the industry bodies and others should lobby governments to have more rest areas for caravanners and RV drivers, especially in view of the changing dynamic towards more self-contained vehicles." 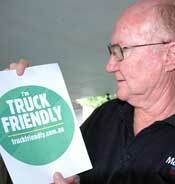 Mr Wilson has so far financed the Truck Friendly project from his own pocket but is now looking for sponsors. 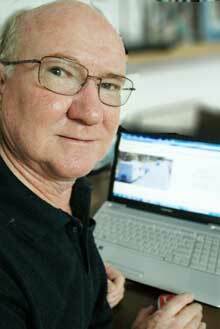 To view his site, click here.